The main crystal is 29 mm tall and 7 mm in diameter. 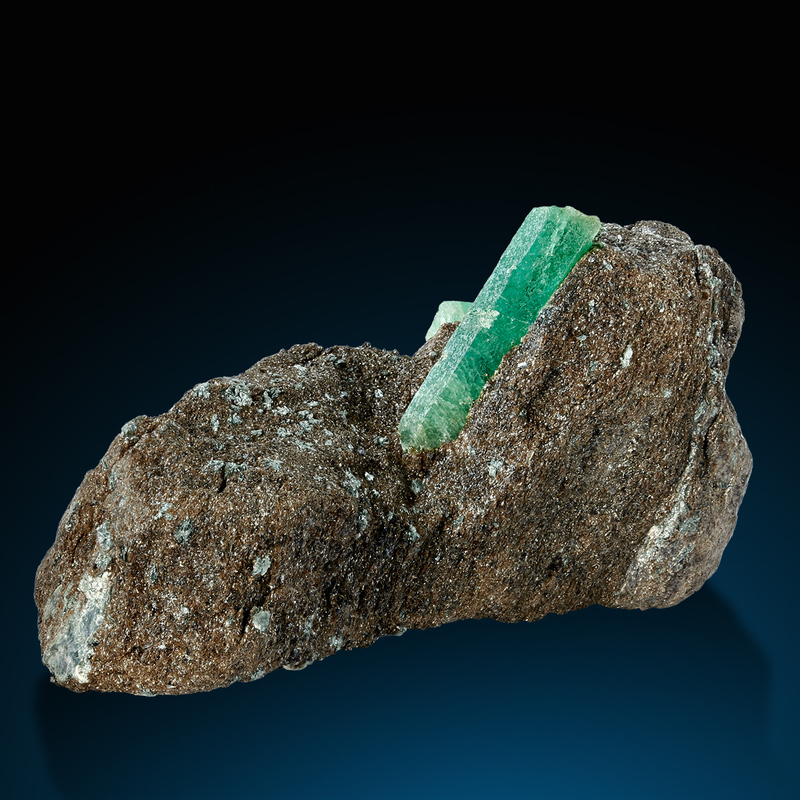 Habach Valley ist the only emerald locality in Europe (except Ural) that ever produced emeralds of relevance. 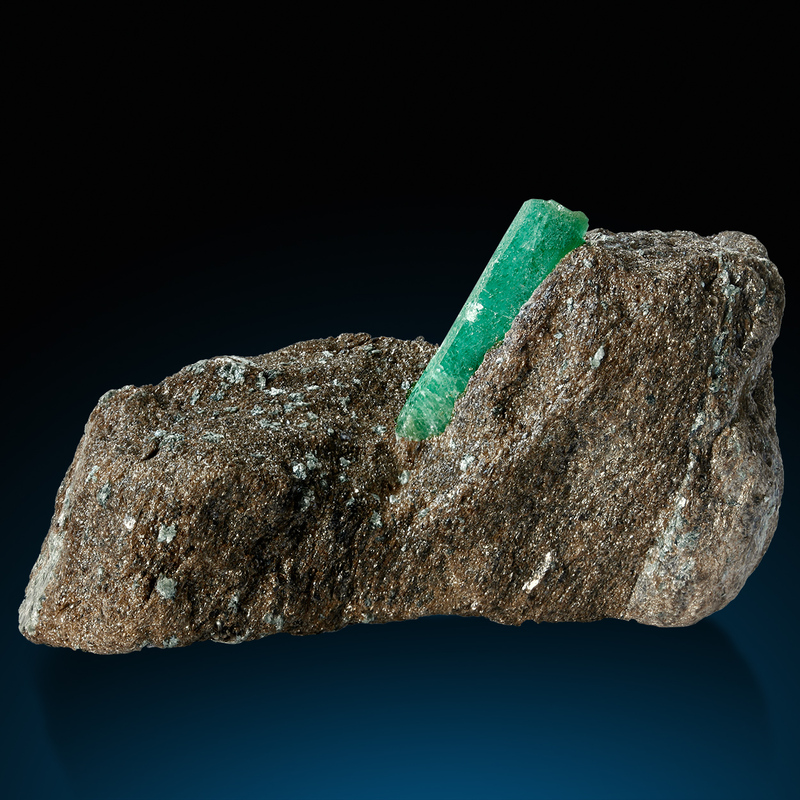 Andi t is an alpine locality – material is very rare and hard to obtain, and it is really very diifcult to get a crystal in this size, color and quality. It is not end-pointed as it was intergrown to matrix. But it is well developed also at the reverse and not intergrown to matrix at the back – so translucency is as good as it ever could be from this famus classic locality. The color is also very fine and faces are even partly glossy. No significant damages to report, stabilized in the upper third.